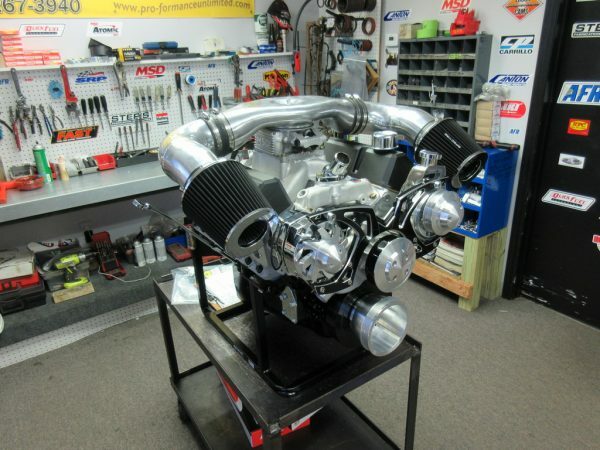 Chevy 383 stroker with 500HP full roller engine combination. This engine was designed to make your weekend toy or mild drag strip car come to life. With it’s awesome torque and power curve all the way through the RPM band. Just check out the quality of parts listed below and compare them to competitor selling the similar engine. This engine can be custom designed to tailor to your specific needs. We can also custom paint your engine to match your vehicle at your request. We can also assist you in choosing the proper transmission and stall speed converter combination for your vehicle and have it shipped directly to you as your Chevy crate engine is being built.